Join me on this little tour of some of the wildlife friendly features in my garden including compost heaps, hedgehog houses, water bowls and an insect hotel. Spring is a great time to be getting your garden ready for wildlife and hedgehogs emerging from hibernation. If I’ve inspired you to make your garden more wildlife friendly, here are my pages with lots of advice on completing your transformation. In addition, I don’t use any pesticides or herbicides anywhere in the garden. Slug pellets are also banned! I run a hedgehog rescue in York, England. Like all wildlife rescues, my work is entirely self funded. You can find out more about my work here. If you’ve been inspired to support my work, you can do so here. 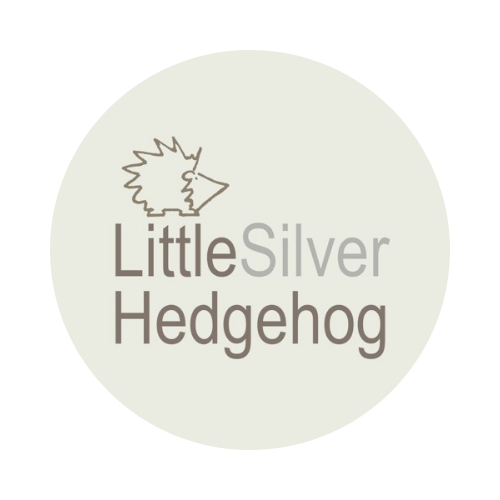 I also make silver jewellery inspired by nature and wildlife and you can visit my online jewellery shop here. I’d love to see your pictures of your wildlife garden and any top tips you have for attracting wildlife into your garden. I am also able to come and check out your garden or talk to your group about making your garden wildlife friendly. Please get in touch here. Previous postIs your hedgehog too thin or too fat? Sadly we don’t have hedgehogs here. They are such interesting little creatures. We used to see them quite frequently in our garden back in England. I love your wildlife garden! After removing a bottom panel from a side gate we have hedgehogs (at least one) patrolling the garden again. We have two hog houses in place and getting ready to establish some shrubbery, a bog garden and other features in the coming months. That is great news! Well done for everything you are doing to help! Wish more people would allow hedgehogs access to their gardens! So many are fenced out of front and back gardens 😦 Well done!